In this episode of Gravy, reporter and producer Sarah Reynolds brings us to the northwestern part of Lexington, Kentucky, just inside the city’s loop road, where there is a little bit of Mexico. In all directions, there are signs in Spanish – a bakery, a restaurant, a grocery store, a daycare, a church. And just down the road more of the same, including a bilingual public library. But at the crux of any diaspora is food – the familiar flavor of the old home mixing with a new one – tacos, in this case. And Lexington, Kentucky is expressing just that. Carnitas and chorizo tacos with salsa verde at the Tortillería & Taquería Ramírez in Lexington, Kentucky. 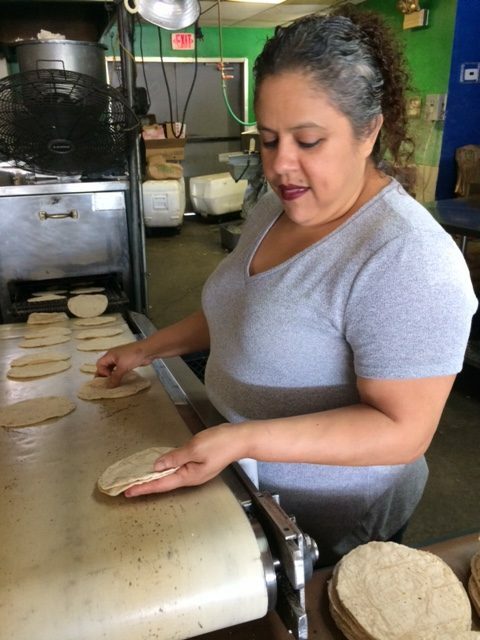 At Tortillería and Taquería Ramírez, husband and wife team Alberto and Laura make their very Mexican tortillas from local Kentucky corn, farmed just down the road in Hardin County. They’re holding up an ancient tradition from Mexico with Kentucky’s help. In a small shop shop in Lexington, they pump out thousands of tortillas a week with an old tortilla-making machine they hauled all the way from Mexico nearly 20 years ago. They sell them one bag at a time – 28 tortillas per bag will cost you $1.90. Laura Patricia Ramírez stacks fresh tortillas to be bagged and sold. Dr. Steve Alvarez taught a class at the University of Kentucky last spring called Taco Literacy and sent his students out into the Mexican community to learn about politics and history and the cultural literacy of this food and these people – that Mexican foodways are Southern foodways, too. Explore SFA’s oral history project Bluegrass and Birria, which documents Latino foodways in the Commonwealth. 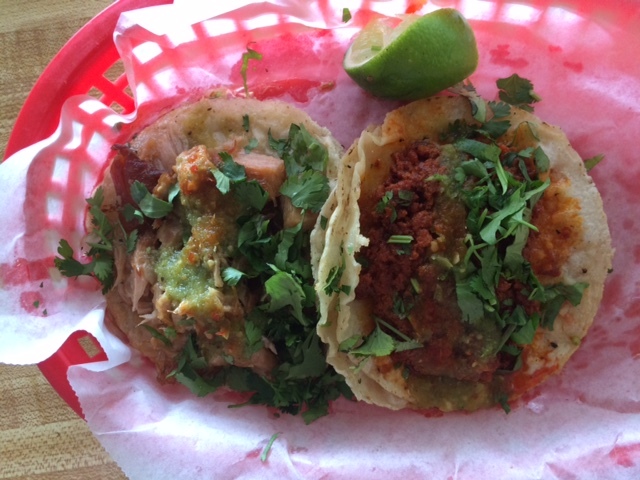 Read Sara Camp Milam’s review of Taco U.S.A. by Gustavo Arellano. Visit Dr. Alvarez’s Taco Literacy class blog. Hear music from this episode by Luis Guerra. 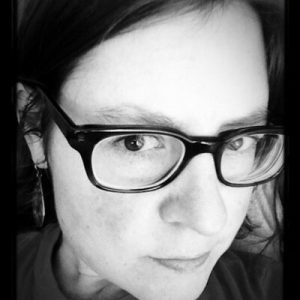 Sarah Reynolds is a radio producer and digital storyteller. In addition to reporting for NPR, her work also airs on PRI & BBC’s The World and Studio 360 and other national programs. She’s drawn to stories of people living on the margins and has spent time there, working to collect those stories. Sarah has covered the complexities of immigration, an intimate gender transition, the smells of a city, and growing old. Sarah currently teaches radio documentary at Duke University’s Center for Documentary Studies.